The Gerald R. Ford School of Public Policy is excited to announce the addition of Charlotte Cavaille to the faculty as an assistant professor this coming fall. 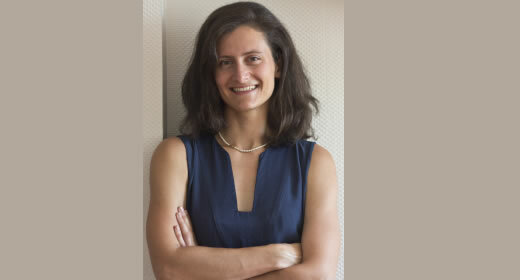 Cavaille is currently an assistant professor at the School of Foreign Service at Georgetown University. Cavaille’s research examines the attitudes toward redistributive social policies at a time of rising inequality, high fiscal stress, and high levels of immigration, and how these attitudes impact politics comparatively between the U.S. and Europe. “We’re so excited to welcome Charlotte to the Ford School. Her deep expertise on the politics of social policy from a comparative perspective will enrich our community and lead to new insights,” said Michael S. Barr, Joan and Sanford Weill Dean of Public Policy. Currently Cavaille is turning her dissertation, which received the 2016 Mancur Olson Best Dissertation Award, into a book entitled Asking for More: Support for the Redistribution in the Age of Inequality. It will explore why in countries where income inequality is the highest, voters are not calling for redistributive policies. In addition to her focus in Asking for More, Cavaille also studies the relationship between immigration, the welfare state and the rise of populism. Cavaille, along with Jeremy Ferwerda from Dartmouth College, explore these dynamics in their award winning essay entitled “How Distributional Conflict over Public Spending for Anti-lImmigrant Parties” (2017). Cavaille completed her undergraduate studies and earned her master’s degree in political science, with a minor in Middle Eastern studies, from the Paris Institute of Political Science. Prior to moving to the United States also studied at the University of Chicago. In 2014, Cavaille received her PhD in Government and Social Policy from Harvard University. Among her many accomplishments and accolades, Cavaille has been published in the American Political Science Association, the European Political Science Association, and the Journal of Politics. The Ford School has a long-standing tradition as a leader in the field of social policy, and is currently ranked first in that specialty by the U.S. News and World Report. The school also recently announced the creation of the Hermann and Amalie Kohn Professorship of Social Justice and Social Policy.